It's now almost eight years since the death of Phil Cording, owner of Soho's Cheapo Cheapo Records, on the 29th of January, 2009; two months later the shop was closed once for all. Cheapo had been a kind of haven since I first came to London in 1985: many a Saturday evening had been spent within its doors, ferreting through a mix of tat and marvels. Others have praised its stock of Northern Soul, but for me just about everything had an appeal, possibly because my musical tastes were shaped jointly by David Essex and Hubert Gregg. 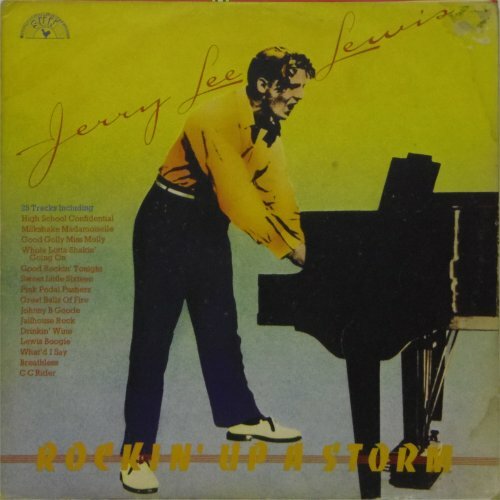 The film That'll Be The Day started me on a lifelong exploration of rock'n'roll just as Gregg's radio shows were painlessly educating me about the music of the thirties and forties. Cheapo had no shortage of either decade; finding the same LPs I had loved as a teenager in its cramped and dingy surroundings made it a home from home in the middle of the metropolis. A few months after discovering that Cheapo was no more I began to explore my feelings in this blog, writing about going through through "a kind of mini-grief process", aware of that how ridiculous that sounded. I didn't know then that Phil's death had been the cause; I was mourning the loss of the shop itself and its significance in my life. There had certainly been a casebook sense of initial disbelief when I first saw the stark "CLOSED" sign on the shop's door; a few days earlier a notice had indicated merely that they were shut for stocktaking. A few nights after that I dreamt about being back inside for one last time, buying some of the frankly less than essential jazz/nostalgia CDs which hovered on the margins of possibility on each visit. This was not a fantasy of plundering so much as the expression of a need to perform a final loving act within Cheapo's tatty walls: to show that someone cared even for those unlovely parts of the shop. It had never seemed to matter when I didn't scoop up every last disc which took my fancy on any particular visit to Cheapo: that small and cluttered shop would always be there, with an infinitely extendable supplies of vinyl memories. Downstairs I once saw Donovan's LP Fairytale, the very first record I ever bought; it seemed as though everything I had ever listened to, bought or borrowed could be found nestling in some nook on the premises, patiently awaiting rediscovery. Still unaware of Phil's death, when I began trying to make sense of Cheapo shutting down I could admit to myself that the warning signs had been there for some time: as one assistant put it, when someone with no conception of overheads waltzes in, demanding that you match the Amazon price, the writing is on the wall. Maybe, I thought, the wonder was it had endured so long. Another worker, at the end of his wick one Saturday night, complained loudly to no one in particular about the number of tourists who came in demanding directions, alternating with the junkies who also came with the territory. Round about 2008 I was told by an assistant about difficulties such as charity shops marking up poor condition albums because a certain price was mentioned in the Record Collector guide; Cheapo, he said, was only surviving on its weekend business. At times I was given the rare privilege of a look-see at new aquisitions on long bakery trays - including, on one memorable occasion, a slew of Ace CDs which I bought for £4 apiece. This was because I had begun to buy large quantities of stock on each visit on behalf of an employer. Phil didn't issue receipts but I was afforded the rare concession of the total being scrawled on the back of a business card. Others have written of Phil's notorious surliness but there did grow a kind of spare cordiality between us once I became established as fifty (or sixty) quid bloke. That said, there was something odd about this change in relations. Before, there had been no need for greetings or pleasantries: the stock was the thing, and it spoke for itself. It wasn't particularly oppressive but this new obligation to display least the bare outline of courtesy was, in its way, a kind of burden. I once took a female friend to this almost exclusively male domain; buying an LP, she felt obliged to explain to the assistant: "Reliving my lost youth." I pounced on the solecism as soon as we left the shop. It didn't need pointing out. They understood; that was why they were record shop assistants. Although Cheapo was about interests developed in adolescence its surroundings evoked earlier memories, of visiting Santa's Grotto one some of Glasgow's long-vanished department stores. More burrow or lair than cavernous emporium of the sort found down the road at Picadilly Circus, Cheapo's basement was the kind of place where Kenneth Grahame's Badger might have felt at home. You could lose yourself - or rather find that earlier you, that thing of undefined hopes and dreams: a record collector, exactly as you were at sixteen. The last conversation I had with a Cheapo assistant was cut short by me; I had other stuff to buy elsewhere, and it was getting late. I wish that I had stayed longer, that I could have known that this was to be the last time. Pluck'd in a far off land. In January, 2010, I did indeed make a pilgrimage to Rupert Street to see what had become of Cheapo, passing another much-loved place, Marshall Street Pool, which had closed in 1997. The building was covered in scaffolding and padding but I caught a glimpse of the whitened shell of the pool inside. It would have been easy to walk in, take a quick snap, but I knew the sight of a dilapidated pool would be unlikely to bring pleasure or succour. The grey seemed an apt touch: harsh and metallic where once there had been the green of growth. I recalled discovering, a few months earlier, that my former childhood bedroom was now that same battleship shade. CLOSED? Now there was no doubt about it anywhere, as a Noel Coward character might say. Having taken the above photograph, I didn't cross the street to peer inside; the repainting and the darkness of the interior were enough to suggest that no binbags of forgotten CDs awaited me. As with Marshall Street, further investigation would be unlikely to bring comfort. I took a few more shots, hoping to capture someone in the act of walking past in the manner of an earlier photograph I had seen of Cheapo but kept missing the decisive moment. The empty street depicted above is perhaps more appropriate - although I was moved by the small act of kindness of one individual who waited until I was done before walking past; perhaps he, too, had lingered overlong in Cheapo on occasion. A few weeks after that visit I went back, this time crossing the road. I pressed my camera up against the window pane. When people talk about the guts being ripped out of a building, this must be what they mean. A few months after that second visit, however, I unexpectedly achieved what amounted to a kind of closure. Googling the shop name, I found to my surprise a Gumtree advertisement announcing that Cheapo's old stock was being offered for sale. I arranged a time to come and view whatever was left and made my way to a warehouse in Alperton, near Hanger Lane. The person in charge said that a shop in Birmingham had already creamed off most of the goodies; I can't really say I found any unexpected gems. But I searched through what there was anyway, happy to be back in harness, choosing about forty CDs in all. It took about two to two-and-a-half hours, a good average for a browse in the actual shop. At the station I texted a colleague that the spoils were "mostly tat but very cheap tat." My Alperton experience didn't live up to the dream I'd had. Not being in the original environment lessened the pleasure of searching, and stooping over trays laid on the dusty floor wasn't particularly comfortable. Yet the visit was important, for more than one reason. I learnt that Phil, who had had the shop at a fairly cheap rent, had died, and there was no one to carry on, especially as his filing methods had been highly idiosyncratic. And even if I hadn't salvaged anything particularly interesting in the way of CDs or LPs I now knew there was no cache of records begging to be found. No doubt about it anywhere. I had been listening to a recording of a Radio 2 programme about the demise of record shops as I went on my expedition. Blame was put on supermarkets, not interested in anything not in the charts. Someone I had met at a few days earlier had spoken with reverence about the breadth of Phil's knowledge, and the surprise when there was a soul record which he couldn't immediately call to mind or to hand - and not with any kind of showman-type flourish, just: here it is. That one. Going home, it occured to me that my leavetaking ceremony, those last few purchases, was essentially a solitary act, even though there was someone else present. In a way, that's as it should be, reflecting my experience in the shop itself, although I'd like to think there had been some kind of unspoken cameraderie, as well as rivalry, among those of us who haunted the Rupert Street shop, each pursuing an ultimately futile quest for the perfect record, the magic all-solving discovery. I'll keep hoping, as doubtless we all are, to catch the echo of those all-solving, all-healing sweet words of pismotality from that ideal doowop record which nestles somewhere in the track listing on the next CD compilation I buy. An open door, past the pushers and pimps and whores, that was Cheapo Cheapo Records, three full-to-bursting floors. If you want to piss him off, just ask him what's in the shop. It's a shame no one will look through your racks again. But it's a shame the way those Cheapo days have gone. But it's a shame no one will look through your racks again. I had known it was inevitable, having recently seen signs of some kind of counter being put up within the interior, but this final proof still felt painful. The shop I loved had been translated into "London's first mango-based dessert and coffee lounge." I couldn't help wondering whether the customers would be nourished as I was. I went to sit up at the back, where the nostalgia CDs used to be, noticing that (as per the image of riotously happy young people in MADD's publicity) the seating was not designed to encourage lingering: a kind of upmarket McDonald's with non-tokenistic fruit. But there was music, in the form of Magic Radio. The song playing? Phil Collins' Another Day in Paradise. The area where the vinyl ended up in Cheapo's last years had been partitioned off, and there were barriers in front of the steps downstairs to where the soul music once slumbered. Whether by way of compensation or insult the next Magic Radio choice was Rescue Me, Chess Records' attempt to do a Motown. My mango pudding and cup of tea arrived, the tea in a cardboard cup, even though I was a sit-in customer. The pudding was small and vanished almost immediately. I didn't hang around; the assistant was on her mobile so there was no need to say anything. On each table a card invited customers to doodle or write whatever they wished to share with "our community", addressing customers as "Maddam" or "Maddman"; I wondered what the late Phil would have made of it all. I saw what appeared to be a carrot cake in the counter display but didn't ask for it as a takeaway. Probably mango-based, anyway. Afterwards I spent a fair amount of time in HMV Oxford Circus, but everything seemed expensive and there weren't the rewards and sudden excitements of Cheapo. After 3 sweet years of dessert loving, we have bid our final farewell to our beloved Rupert Street location ... Leaving your first home is never easy but we are excited about our move and will never forget the memories here. I don't know how long Phil reigned there but it felt right that the MADD house was shorter-lived. No board games were needed as an enticement to enter the shop in his day: the glorious, tatty merchandise was enough. Immediately after MADD it had become a restaurant called Lil's - the tip of the name can be seen above - but when I passed the site one Saturday in May 2016 it was offering Italian fast food under the name of Mister Lasagna, promising "a subtle waft of garlic in the air." 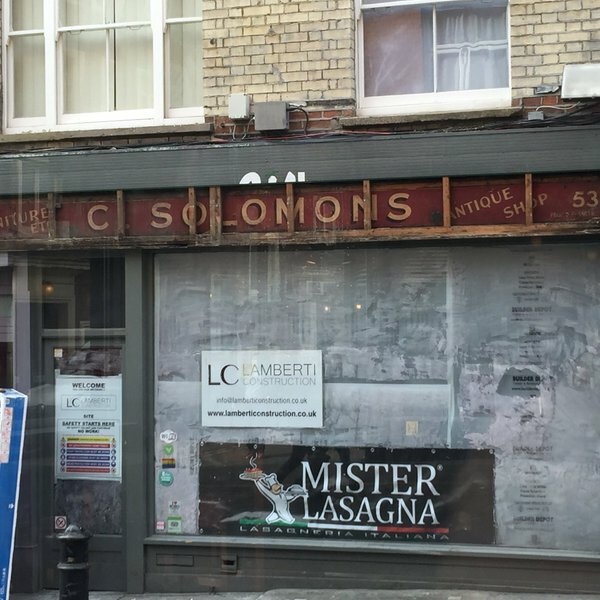 It seemed a long way from its former use, although I daresay once there would have been people who lamented the passing of C. Solomons' antique shop. Did Cheapo immediately supplant Solomons, or was there a long trail in between? It's a Daniel Kitson-type Edinburgh show just aching for crowdfunding. 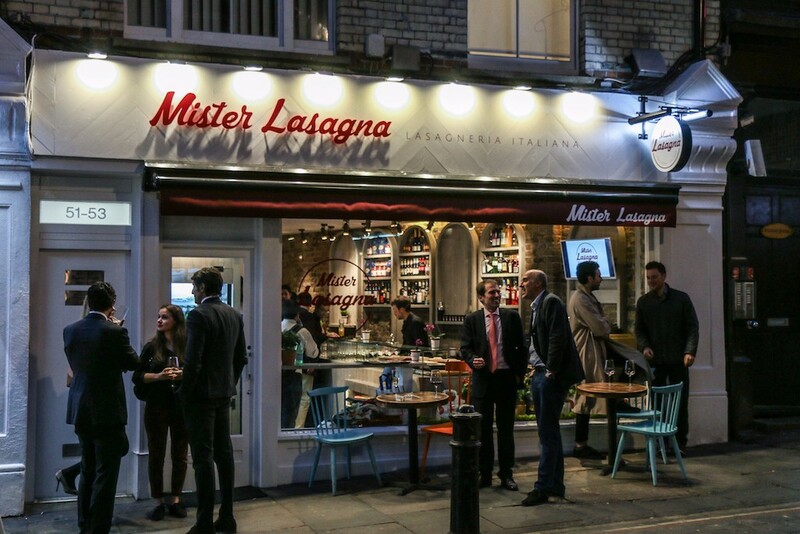 At the time of writing in January 2018 Mister Lasagna is still there - or was a couple of weeks ago, anyway. To close, here is a reminiscence by Keith Chapman which can be also be found in the comments which follow my original post about Cheapo, here. (What you have just read is an assembly of several posts, heavily cut and rewritten, along with some new material.) Keith and his friend Tommo got in touch to say they had been going to Cheapo's and other Soho record shops "on quarterly 'jaunts' for over two decades until the mid noughties" and they sent me a picture of Phil - taken by Keith, Tommo says, "surreptitiously - on the 26th March 2002 - wot a risky business getting the shot!" It can be found at the bottom of this piece. I recall having to enter the shop sideways to get around all the boxes of stock on the floor. The whole shop was something of an obstacle course and at times an endurance test. Odd steps and stairways were always there to trap the inattentive browser, but always the boxes, the boxes. The further into the dark recesses of the shop you ventured, the more strange the things that could confront you. I recall the corner that was once a staircase to an upper floor, which then became a truncated display corridor, later, at times dusty while, oddly, being extremely damp! That corner was the domain of the Irish, leather-clad Industrial Metal enthusiast we eventually dubbed “Goth Mick”. He always swore loudly upon our appearance in his corner of the shop, but was a nice guy. He swore audibly under his breath when any customers asked him questions - great theatre for us, his watching audience. He was always ready with tall tales about other, better shops around the corner, or the demise of our favourite watering holes - upon investigation, completely false every time. He certainly saw us coming! 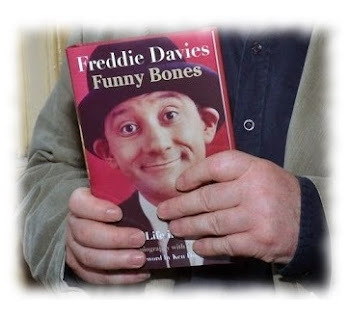 We never knew his proper name, we did ask, but we were told more fibs. So “Goth Mick” he remains, his anonymity assured. I recall the owner of Cheapo, Phil, had what I considered to be a rather sly and contrary sense of humour. Once, on a buying spree, my chum bought a few items, during which he asked to check their condition . . . mistake! Phil gruffly handed the items over and finished the transaction in a somewhat terse manner. My turn to pay came next, now he cheerfully asked if I wanted to check the condition of my purchases as if nothing had happened, much to my chum's chagrin, Phil was all smiles! There are many other Cheapo tales to relate, but so little space. Great days, a shop I thought would be there for ever, has gone for ever instead. I loved frequenting this treasure trove of musical formats. I must've bought at least fifty cassettes here throughout my visits, and remember "miserable Phil" well. He was an enigma, ushering and disappearing between the floors and counters beyond the mountains of yet-to-be priced-up boxes of stock. I'd often quake with fear to ask 'that man' to open the locked cassette cases (I'd often take interest in one or two cassettes per case, which I knew greatly irritated him when asking for his 'assistance' to continually open them to remove the cassettes - only for me to put them back after inspection! Not a good move. On one occasion, I did have the recourse to get Phil to re-open a case I'd already asked him to do earlier. He stood next to me and said "now are you gonna buy a f**king tape this time or not?". Nice. Customer care was not the man's strong point. That said, I admired his indomitable spirit; having to endure hour upon hour bypassing the catacombs on a daily basis without natural light would make anyone cranky. I was always polite and made my entrance a happy one, and kind of believe he missed me each time I left. After all, I was spending serious money in there sometimes. I did buy some truly rare gems in there, including rare 'trunk-sold' LA hip hop tapes, as well as promo CD's I've not seen since. Rarities that'd make Discogs experts shudder in envy. Great days, sadly missed. Phil, Rest in Peace, you grumpy old sod. A guide to all the original posts about Cheapo can be found here. Most are considerably longer and more discursive, especially the main one, entitled A Wreath for Cheapo, which also has a number of comments below it; you can find it here. Memories of others people's experiences of Cheapo can be found here. Fantastic piece. Evoked many wonderful memories. RIP Cheapos ... RIP Phil. A very emotional read and heartfelt tribute to a much missed shop and Phil. I never actually worked in the shop but run the record stall outside for five years, I knew Phil well and much of the reports of his grumpiness (which are true). I can honestly say he was always friendly to me, even to the point of renting a van and lifting boxes when I moved house and offering to help decorate. He had an amazing musical knowledge and was more intelligent than he ever let on. I went to his memorial and found out he was well loved in his local community. I loved reading these reminisces and the fact that a simple messy record shop can evoke so much emotion in people. Fantastic read! Great comment too, from Kit. My Cheapo Cheapo story goes back to the mid-70s, when I was a very regular visitor. No subsequent return to London was complete without going back. In those days, there was another guy, John, whom I assumed was Phil’s business partner. I think he must’ve taught Phil all he knew, because he was by far the grumpier! Nevertheless, as such a regular customer, my face became known enough that I could ask if, maybe, perhaps, they had a copy of a certain album, which had not yet found its way to the racks. I sometimes joined the Saturday morning queue, waiting for the opening, when new “promos” would be made available. RIP Phil and I wonder what became of John? Nice to find a memorial to Cheapo online. It was the 10th anniversary of Phil’s passing last week and I thought I’d look him up, see if anyone remembered him. And boy, did they! Unlike most commentators on Cheapo, I was in it for the movies. And the film scores. 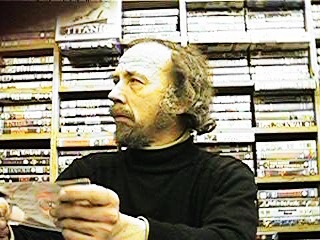 His VHS collection was a treasure trove when I found the shop in ‘97. Obscure titles, and loads of promos - oversized video boxes for obscure films with ‘timecodes’ periodically running across the bottom of the frame like breaking news. I still have most of them somewhere. It was my favourite shop in my new home of London for three years until I moved back to Glasgow in 2000. Then I moved back to London in 2007. My first port of call was always going to be Cheapo. I remember feeling almost nervous about it still being there, still being full of gems, and perhaps most importantly, that the misery-guts owner would still be behind the counter. I walked in and there he was. Right where I’d left him. I’d gone from maybe two visits a week to none in seven years but nothing had changed (save maybe DVDs taking over from VHS). I made that up. If there was so much as a flicker of recognition of me, Phil didn’t let it show. Even when I asked him for a few soundtrack CDs from the locked racks... nothing. (The soundtracks were on the right as you walked in, before moving to the left, if I recall, shortly before the shop closed). And yet... something about Phil’s utter indifference to a once and future good customer (musta spent £100 a month in there) kinda made me feel that there was something utterly dependable in this world. One day in late Jan 2009 my cousin died suddenly in his mid forties. So I was in a morbid kinda mood when I walked into Cheapo. Looking at the DVDs, I overheard a conversation between the fella behind the counter and a customer. The shop was in trouble. The owner had been borrowing money from everyone to pay everyone else off and no one had any idea the extent of it until now. The shop’s finances were a house of cards and it was all about to fall. I could feel it in my gut but asked anyway. ‘Did the owner die?’ He had. I asked what his name was. Phil. I hadn't known it until then. I went in just once more and knew it would be the last. I ceremoniously bought a soundtrack (Nowhere in Africa) that had sat there unloved for a couple of years, with me barely recalling the end titles being quite good. And considering how much I hate stickers, I just left this one on. It would be my last purchase, the distinctively handwritten, unmistakably Cheapo little circular sticker would be my souvenir. I saw the Mango shop come and go. Not sure what’s there right now. But that strange and amazing atmosphere are still burned in my memory. And as my family recognised the 10th anniversary of one of our own last week, I thought of Cheapo and Phil. Great to find others who still have a place in their heart for Cheapo. I had no idea he went as far back as he did. And the sneaky snap of Phil on the job was priceless. Thank you!